Either you self-destruct by going into communion with the fragments, or else we will continue to wipe you out with more schism. 1. Vladyka Agafangel won't enter the ROCOR into politics. 2. Vladyka Agafangel uses Internet Sobor to promote financial concerns and to give air to politics. 3. & 4. Vladyka Agafangel is involved with politics. 5. Vladyka Agafangel defends ecumenists in Ukraine. 6. Vladyka Agafangel does not deem the White Army as itself being holy (sacred). 7. Vladyka Agafangel says that the ones who criticize him are critics. 8. Vladyka Agafangel won't agree with them, won't let them use his authority to accomplish their plans. 9. Vladyka Agafangel excommunicated Nazarov "llegally." 10. Vladyka Agafangel is linked to defenders of Lenin and accused of Ukrainian Nationalism. What does their list of excuses look like today? One excuse they are still pushing the "unite with the fragments" escuse. Because that is the one thing that would accomplish their goal in an instant. The MP mission-assignment to wipe out ROCOR would be finished, and no more schisms would be necessary. In the meantime they keep coming up with different excuses in order to snag as many supporters as possible with one kind of bait or another. For Faith, Tsar and Fatherland." Dear brothers and sisters, in a watershed in the history of not only Russia but the whole of humanity, when we see the approach of the most terrible apocalyptic event, we, the undersigned, hierarchs, priests, religious and laity Russian parishes of the Russian Orthodox Church Outside of appeal to you. Great grief came on Russian land: mirovogo forces managed to ignite the flames of lawlessness fratricidal confrontation, thousands of mothers mourn their dead children;many hundreds of thousands of refugees from the Ukraine filled towns and villages of Russia. MIP was on the verge of not only cold but also hot mirovoy war. In our temples is happening augmented prayer for peace and ending the conflict; our believers - each according to his strength - in word and deed seeks to support people who have been victims of this war. We believe that today, every member of our Church, from the First Hierarch and ending with the most simple believer should be a peacemaker in his deeds, words and fervent prayers, remembering the commandment of Christ: "Blessed are the peacemakers, for they shall be called sons of God" (Matt. 5 9). But, unfortunately, we have to admit that some of our members are trying to change the entire course of a traditional ROCOR church life by putting on the high road to the historical hatred of Russia. Several years ago the Met. Agafangel, Primate of the Russian Orthodox Church said: "Norma and purpose of combining parts of the Russian Church Abroad is the preservation of the Russian Church Abroad in the same condition in which it was at our First Hierarch of blessed memory - Metropolitan Anthony, Anastasia, Filarete and Vitali.And so we can associate only with those who wish to stay or favors to join the spiritual heritage of the Church Abroad, and through this legacy - to the Sacred Tradition of the Universal Church." We fully agree with these beautiful words, but today we see that the spiritual heritage of the Orthodox Church under threat of destruction due to the fact that some responsible members of our church are closed to the overtly political and, frankly, anti-Russian forces. In this regard, we united our common grief and concern for the fate of the Church, the First Hierarch please take concrete and urgent action to improve the situation of the whole Church. 1. We have read with great sadness of the last acts of the Synod of 21-22.10.2014g signed by Metropolitan. Agafangel, Arch. George Bishop. Athanasius, who had no quorum and therefore illegitimate. In this document, we see numerous violations of canonical rules, outright lies against our members who spoke in recent months against the deviation from the course of the Russian Orthodox Church. Here, for example, quote: "In the beginning of his historical existence, the Russian Orthodox Church resisted the request of political revenge." Revenge would suggest mixing schёtov political and class revenge. Outstanding ideologue ROCA IA Ilyin said: "Let's return to Russia without revenge and greed!" This was the general attitude of the ROCA. Rewriting history, which has been hard lately Met. Agafangel very loosely referring to historical facts and decisions of the church, is the anti-canonical and immoral. It is clear that this position is pleasing forces alien to our Church, which fell under the influence of Met. Agafangel. But such a position is deeply repugnant to all those who are faithful to the saving rate Beatitude Metropolitan. Anthony (Khrapovitsky), Met. Anastasia, St.Met. Filaret, Metropolitan. Vitali. That is why we call on all three: Met. Agafangel, Arch.George and Bishop. Athanasius reconsider their attitude towards history ROCA and repent. 2. Met. Agafangel blessed considered "Internet Cathedral" as a "new website ROCA» (http://agafa-angel.livejournal.com/74369.html). Synod of our Church in October 2012 decided to "promote the general church site '' Internet Cathedral '' ', which highlighted the church money. 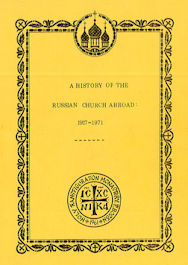 However on this site were published main church documents, news of church life interspersed with articles of anti-Russian character and political agitation. You must stop the vicious practice of turning the church into an instrument of the site of political struggle. Especially because it is very often placed without appropriate materials comments written by the outspoken enemies of the Holy Orthodox Church: the so-called Kyiv Patriarch Filaret Denisenko, A. Nevzorov militant atheists and others.Russian Orthodox Church Outside of these allies are not needed. 3. We can not agree when the bishops and priests of the ROCOR involved in political activities, taking part in the information war against Russia, unacceptable bonding with politicians-russophobes and its activity is essentially pushing the Church on the path of becoming a political organization on Sergianist sample. Of course, such activity is contrary to the course of the great First Hierarch of ROCOR and threatens the freedom of the Church. The desire by means of such a compromise obezpechit relaxed and comfortable life of their parishes reminds us of the vicious practice Sergianists. 4. We ask the Met. Agafangel cease operations as a manager and commentator (including pseudonyms) site "Internet Cathedral", which during its existence "glorified" extremely Russophobian political direction. Such activities of the First Hierarch, like other clerics, immoral in itself and is in conflict with rule 6 St. Apostles, which says: "The bishop or presbyter or deacon yes assumes no worldly cares. Otherwise, let him be deposed from the sacred rank. " 5. Clearly, when the ROCOR clergy in Ukraine rightly criticized Patriarch Kirill. But many causes embarrassment absence of any conviction was their so-called Patriarch Filaret of Kiev, known ecumenist and heretic. Nor do we hear of exposing falsehood Uniates and other opponents of Holy Orthodoxy in Ukraine. Why do we, the clergy of the Russian Orthodox Church in Russia, talking about the apostasy of the Moscow Patriarchate and ROCOR clergy in Ukraine from rebuking UPTsKP abstain? Moreover, in the pages of "Internet-cathedral" many times articles appeared sympathetic towards UPTsKP character. The policy of double standards unacceptable in church life. Recall that in 1994 for unauthorized networking with Patriarch Filaret of Kiev Cathedral ROCA banned from serving bishop. Barnabas (Prokofiev). 6. It is unacceptable to question the decisions of the Councils of the Russian Orthodox Church. We consider the possibilities of various political assessments, views on historical events, discussions on various issues, because, as St.. apostle, "must be factions among you, that opened up between you and skillful" (1 Cor. 11:19). But nobody has the right to reject the Tradition of the Church. We must piously remember that ROCOR Council passed "to the Holy Spirit's help" and were free voice throughout the suffering Russian Orthodox Church not only abroad but also at home. We had read a strange statement Met. Agafangel on 10.07.2014 that he had "never heard" of "mission '' White Storage holy ideas' '' Russian Orthodox Church, while its cathedrals and great first hierarchs have repeatedly talked about the importance of preserving the best traditions of the White movement. Thus, in the treatment of the First All-Diaspora Council, "Christ-loving soldiers of the Russian Army and valorous leader" gene. Wrangel has these words: "But all the Russian, who love their homeland and suffering her pain, even remember you, our dear host, and not just the word of truth, but in deed and help you convince others. Yes repented the Lord and other people support you. Let them understand that you are struggling not only for Russia but also for the entire MIP, for faith and for a peaceful life. " And we, as faithful children of the Russian Orthodox Church, obeying conciliar decree, affirm the need to be faithful to the White case, which His Beatitude Metropolitan.Anthony (Khrapovitsky) called the "Brotherhood of Russian Truth" and not engage neopetlyurovschiny blessing. 7. It is outrageous that in fueling russophobia actively participate clergy of the Russian Orthodox Church against. Oleg Mironov (Canada), Jer. Andrew Trachuk (Ukraine) and some others. They committed ritual desecration of the Russian flag (the flag of the White Fight) insult the Russian people does not protest the First Hierarch. Instead, he accuses them of critics of intolerance for dissent. Of course, such a policy mockery that was always sacred to members of the ROCOR, slowly but surely destroying our Church. 8. Deeply saddened unbrotherly attitude towards fellow archpastors, infallible and final tone, exceeding its powers, while the Archbishop of the Orthodox Church is to remember the 34th Apostolic Canon, which says: "The bishops of every nation ought to know first, and they recognize it as a chapter; and nothing in excess of their authority, do not do it without arguments. Do the same to everyone just what concerns his diocese and places belonging to it. But first do not do so without all the arguments. For thus will mindedness and glorified God. " 9. "Excommunication" Mikhail V. Nazarov, one of the most respected members of the ROCOR was committed in violation of canonical and moral norms. We can not recognize it legal because the consideration was not present neither the accused nor his representative; among the charges were a lot of defamatory material; despite the fact that the Council of Bishops not to grant an excommunication MV Nazarova, nevertheless Met. Agafangel shortly after the end of the Council without the ecclesiastical court unilaterally announced that the MV Nazarov, it turns out, excommunicated, and nobody has the right to communicate with him. Of course, the canonicity of the act, we guided by the rules of the holy fathers and their Christian conscience, can not recognize. 10. We are convinced that the exemption from the captivity of sin of our people is impossible without overcoming the pernicious legacy sovetchiny, one manifestation of which is precisely the Ukrainian nationalism. It is regrettable to see how some are willing to defend the monuments to Lenin and other crushes these monuments are ready to shed blood for the sea drawn by demoniac Lenin Soviet republics border separating the triune people. 11. We believe that the perpetrators of all the above abuses must admit their wrong decisions and do everything possible to heal the discord produced by them, in the spirit of Christ's love and loyalty to the traditions of the Russian Church Abroad. 12. We see and verify that the activities of Metropolitan. Agafangel management of the Church more and more defies tradition and conciliar decisions ROCA, which causes just indignation at the clergy and laity of wide circles. In view of this, we are conscious that there may come a time when we will be forced to apply the decree binding. Patriarch Tikhon number 362 in his church activities (objective conditions for the application of this decree are ripe). We are waiting for the final word, which should say about the fullness of our congregational church. 13. There is no split we do not want and do not commit commit because, do not claim to authority, we do not belong. 14. 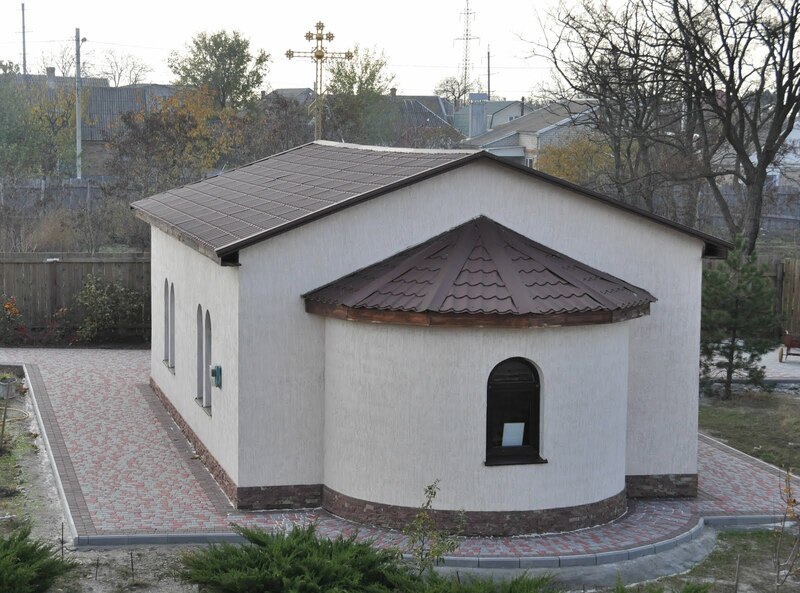 There are no new features in the church life, we do not enter, but only wish to see our church lived according to the decisions of the Councils of the ROCA and the canon law of the Orthodox Church. 15. Orders that trouble our consciences and our flock and we believe violate the canons of the Church and the decisions of the Councils of the ROCOR, we can not fulfill. 16. We ask the forgiveness of all those who willingly or unwillingly offend in word, deed, or some other way. We believe that only in the spirit of Christian love and loyalty to the great fathers of the ROCOR Council and be able to overcome all the temptations and challenges of our troubled times. We hope rapport fellow hierarchs, pastors, laity, both in Russia and abroad and support our actions. Let us take comfort in the apostolic appeal: "Not slothful, fervent in spirit, serving the Lord, rejoicing in hope, patient in tribulation, continuing instant in prayer" (Rom. 12:11).